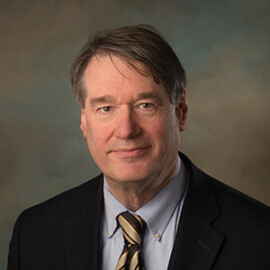 Michael D. Ford is a graduate of Rutgers University and the New England School of Law and has been practicing law since 1977. Active in the community, Mike is the former Town Moderator and Special Real Estate Town Counsel for the Town of Harwich. Additionally, he is on the Town Counsel in the Town of Orleans, has been a member of the Professional Educational Program and Continuing Legal Education Program for the Town of Barnstable, as well as a member of the American Bar Associations. He has affiliations with the Massachusetts Bar Association, the City Solicitors and Town Counsel Association, and the Massachusetts Moderators Association. Mike was elected onto The Cooperative Bank of Cape Cod’s Board of Directors in 2004 and he serves on the Audit and Governance Committees. He and his wife have four children and live in Harwich.